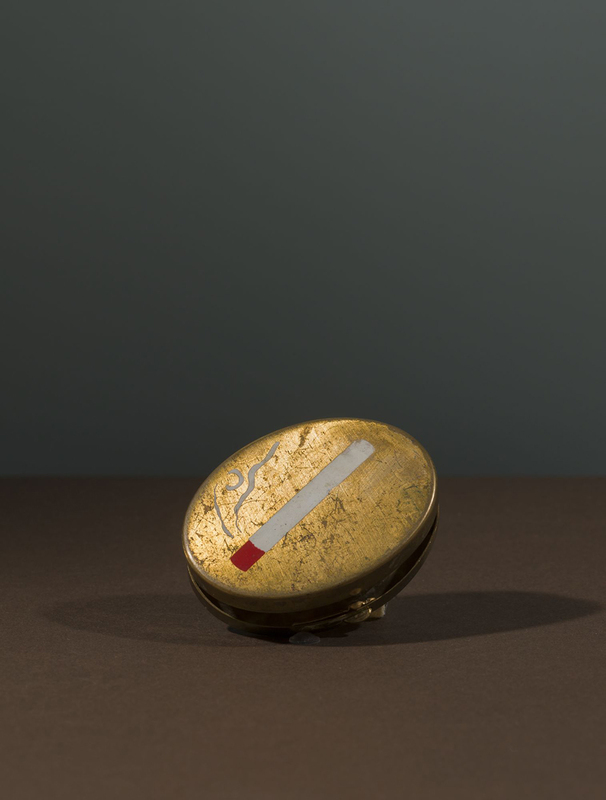 The exhibition includes Frida Kahlo’s clothing, jewelry, and other personal items; key paintings and drawings by the artist; photographs, film, as well as related objects from the Brooklyn Museum’s collection. 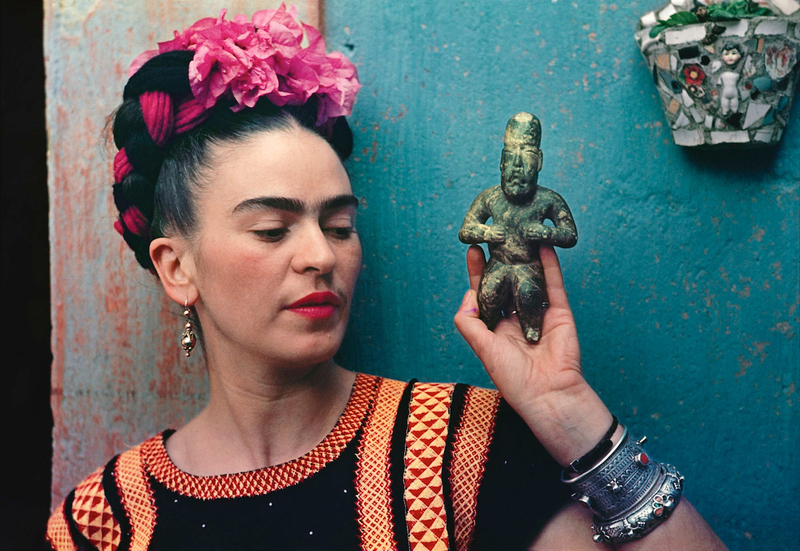 The exhibition marks the first time that Kahlo’s personal objects from Casa Azul (the Blue House), the artist’s lifelong home in Mexico City, will be on view in the United States. 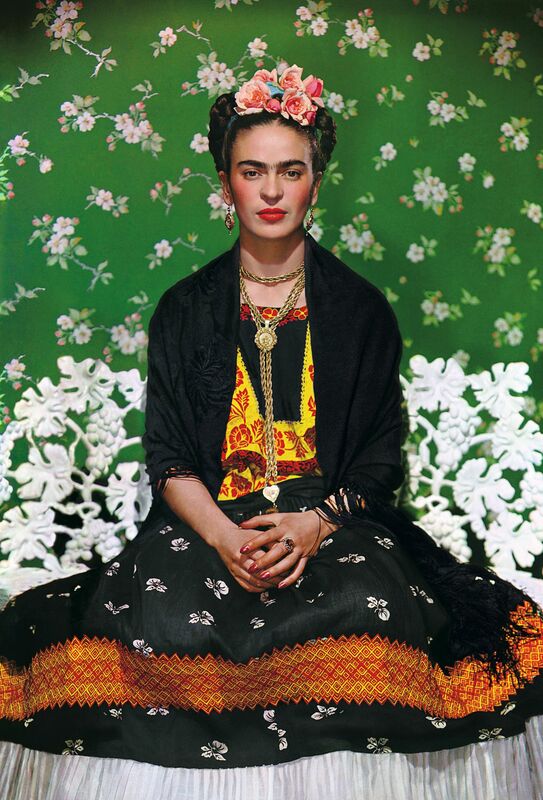 It is also the largest U.S. exhibition in ten years devoted to Frida. 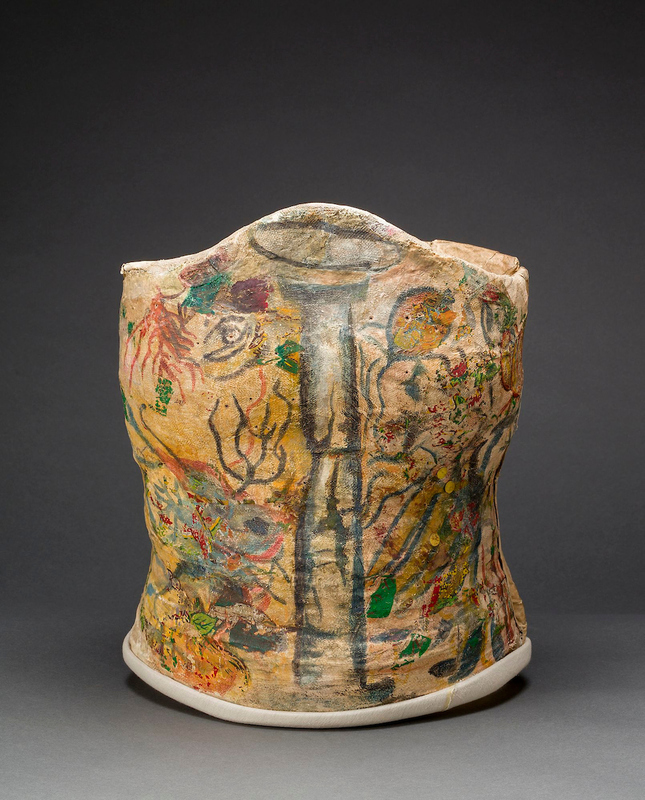 The objects, ranging from clothing, jewelry, and cosmetics to letters and orthopedic corsets, will be presented alongside works by Kahlo ~ including ten key paintings and a selection of drawings ~ as well as photographs of the artist, all from the celebrated Jacques and Natasha Gelman Collection. Related historical film and ephemera, as well as objects from the Brooklyn Museum’s extensive holdings of Mesoamerican art, are also included. Offering an intimate glimpse into the artist’s life, Appearances Can Be Deceiving explores how politics, gender, clothing, national identities, and disability played a part in defining Kahlo’s self-presentation in her work and life. After Kahlo’s death in 1954, her husband, muralist Diego Rivera, instructed that their personal belongings be locked away at the Blue House, not to be touched until 15 years after Rivera’s death. In 2004, these items were unearthed and inventoried. 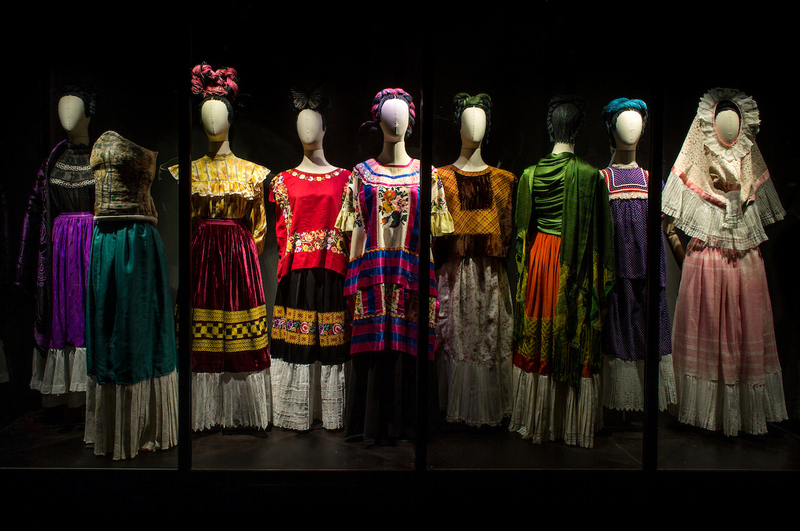 Making their U.S. debut are more than one hundred of Kahlo’s personal artifacts ranging from noteworthy examples of her iconic Tehuana clothing, contemporary and Mesoamerican jewelry, and some of the many hand-painted corsets and prosthetics used by the artist during her lifetime. 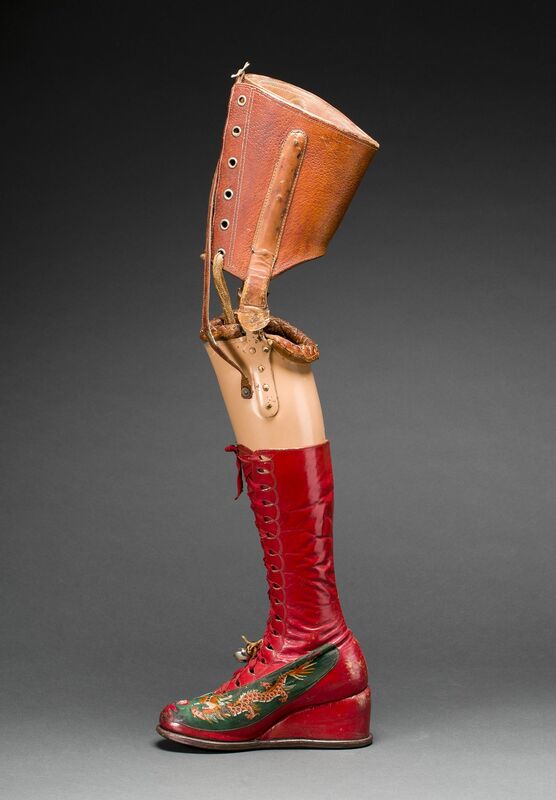 Shedding new light on one of the most popular artists of the twentieth century, these objects illustrate how Kahlo crafted her appearance, and shaped her personal and public identity to reflect her cultural heritage and political beliefs while also addressing and incorporating her physical disabilities. 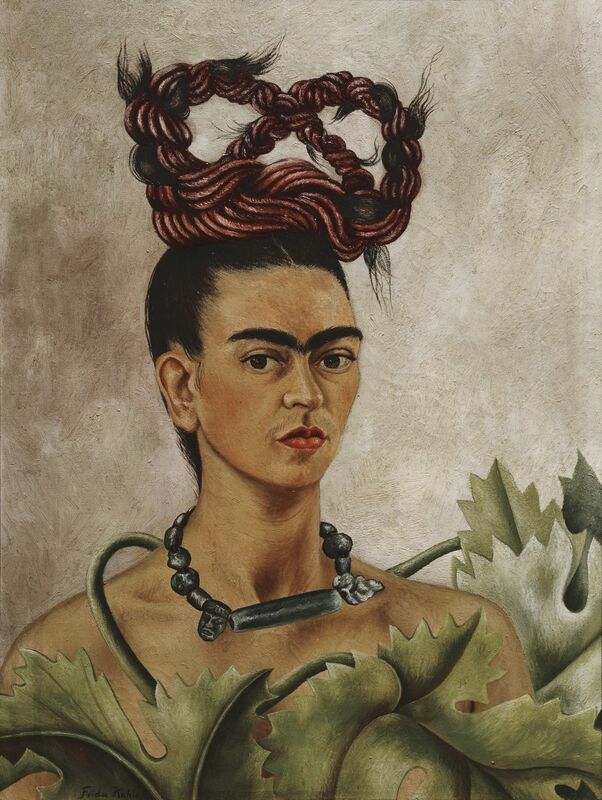 Paintings on view include iconic works such as Self-Portrait with Necklace (1933), Self-Portrait with Braid (1941), and Self Portrait as a Tehuana, Diego on My Mind (1943, which depicts Kahlo in traditional Tehuana clothing and an elaborate headdress with a miniature portrait of Diego placed squarely above her iconic brow. 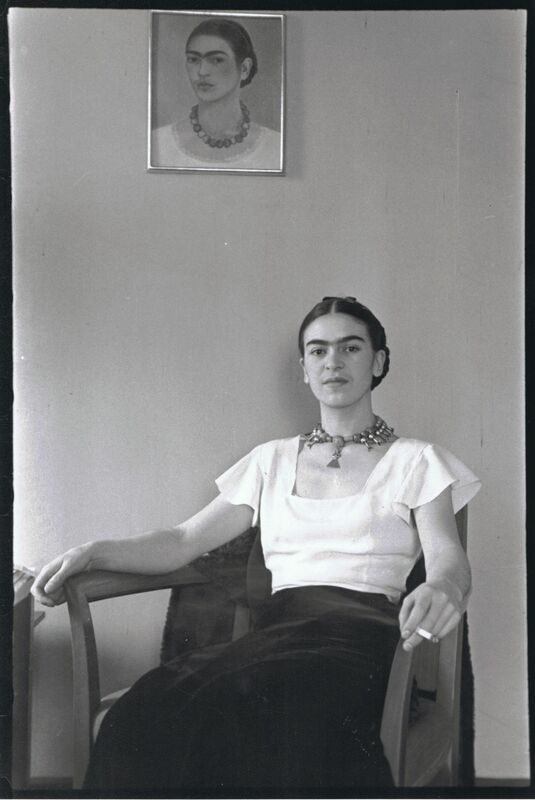 In addition,, the exhibition will feature photographs of Kahlo, including childhood portraits taken by her father, the photographer Guilermo Kahlo; images of the artist and her husband; and intimate studies by many renowned photographers of the period, including Manuel Alvarez Bravo, Lola Alvarez Bravo, Gisèle Freund, Nickolas Muray, and Edward Weston. To highlight the collecting interests of Kahlo and Rivera, works from the Brooklyn Museum’sArts of the Americas collection will be featured, including ancient West Mexican ceramics such as a Colima dog sculpture and a pair of Nayarit male and female figures, Aztec sculptures of the Maize Goddess and the Wind God, and early twentieth-century pottery from the ceramic center of Tonalá in Guadalajara, Mexico. The ancient Colima dogs were of particular interest to Kahlo because they depict the Mexican hairless dogs (Xoloitzcuintli) that she loved. 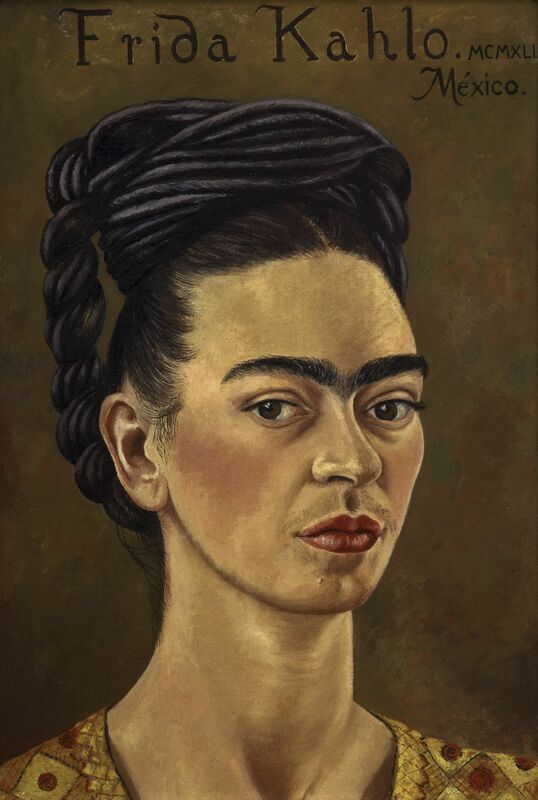 In her personal life, Kahlo came to define herself through her ethnicity, disability, and politics, all of which were at the heart of her work as an artist. Born to a German-Hungarian father and a half-Spanish, half-indigenous Tehuana mother, Kahlo’s carefully orchestrated personalstyle made a bold statement about cultural identity, nationalism, and gender. In the years following the Mexican Revolution (1910–20), the celebration of regional diversity became a symbol of national pride. By 1930, Kahlo had famously adopted the traditional colorful dress of the Tehuana region, a matriarchal society in Oaxaca, Mexico, which Kahlo revered for the beauty of its culture and the power it entrusted to women. The Tehuana women’s floor-lengthskirts, billowing blouses, and elaborate headwear became Kahlo’s sartorial signature, andserved as a way to reaffirm her political beliefs and pride in Mexican culture, particularly in the 1930s as her politics became more radicalized. 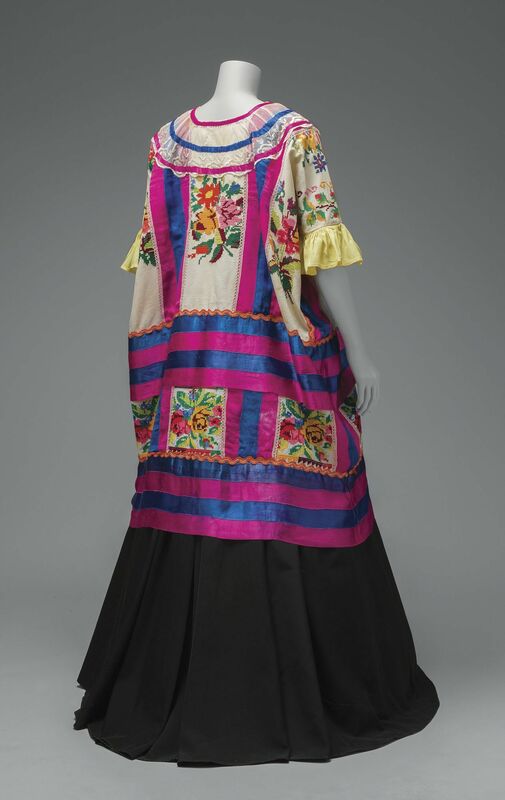 The Brooklyn Museum presentation willfeature a selection of ensembles from the artist’s wardrobe, many of which she acquiredfrom indigenous vendors in the markets of Mexico City. Frida Kahlo: Appearances Can Be Deceiving will be on view from February 8 to May 12, 2019, organized by Catherine Morris, Sackler Senior Curator for the Elizabeth A. Sackler Center for Feminist Art, and Lisa Small, Senior Curator, European Art, Brooklyn Museum, and is based on an exhibition at the V&A London. It is organized in collaboration with Banco de Mexico Diego Rivera and Frida Kahlo Museums Trust, and The Jacques and Natasha Gelman Collection of 20th Century Mexican Art and The Vergel Foundation. The Brooklyn Museum is located at 200 Eastern Parkway, Brooklyn, New York.